What Are The Risk Factors For Developing Benign Prostatic Hyperplasia (BPH)? A risk factor is something that increases your likelihood of developing a disease or condition. Benign prostatic hyperplasia (BPH) is a condition in which the prostate gland becomes enlarged. However, the actual size of the gland does not necessarily predict symptom severity. Some men with minimally enlarged prostate glands may experience symptoms while other men with much larger glands may have few symptoms. BPH is very common among older men, affecting about 60% of men over age 60 and 80% of men over age 80. Dozens of studies have been performed to examine risk factors, but a complete list has yet to be realized. The list below represents general risk factors that play a role in the development of BPH. The most common risk factor for BPH is ageing. As we age, our prostates grow larger. 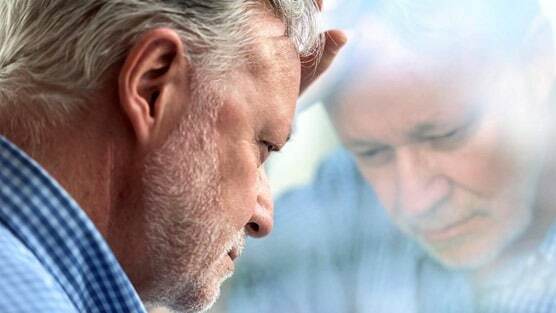 The risk of developing BPH becomes significant for men over the age of 50. For men over the age of 80, the vast majority will have BPH, although some may not experience symptoms. BPH can affect men of all ethnic backgrounds. However, a study in the Journal of Urology found that BPH risks were higher in black and Hispanic men than in white men. The reason for the increased risk might have to do with genetic differences or with metabolic diseases, which are more common in African Americans and Latinos. The higher a man’s BMI (body mass index) the greater the circumference of his waistline, the greater the risk for him developing BPH. This may occur because obesity is a leading cause of diabetes, high blood pressure and high cholesterol. Having diabetes increases the risk of developing BPH, perhaps significantly, and is one of the potential causes of BPH. In a 2015 study, researchers pointed out that components of type 2 diabetes—high glucose levels, insulin resistance, obesity—increase the progression of BPH. Research indicates a relationship may be due to elevated insulin levels, which not only “corral” the blood sugar and usher it into the cells, but also stimulate growth. A lack of exercise may increase your chances of developing BPH, possibly because exercise helps fight obesity, reduces inflammation, type 2 diabetes risk, insulin resistance, and other risk factors associated with BPH. Heart disease doesn’t cause BPH, but the same risks that contribute to heart problems, such as obesity, high blood pressure, and diabetes, also potentially cause prostate growth. It is possible to develop BPH with or without the risk factors listed above. However, the more risk factors you have, the greater your likelihood of developing BPH is. If you suspect you may have a number of risk factors listed, ask your healthcare provider what you can do to reduce your risk.